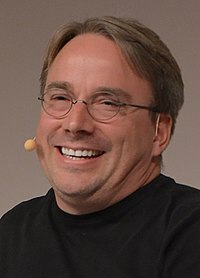 Is cruthaitheoir eithne an chórais oibriúcháin GNU/Linux, ar a dtugtar Linux níos minicí, Linus Torvalds. Rugadh é i Heilsincí na Fionlainne ar an 28 Nollaig 1969. Thug a thuismitheoirí ainm an fhisiceora Mheiriceánaigh Linus Pauling air. Tugadh an leathanach seo cothrom le dáta an 8 Iúil 2018 ag 22:40.